Ubuntu is based on a snapshot of Debian (Testing), so naturally, they are similar in many ways. However, they still have differences. Our comparison will focus more on the differences, but we’ll include the similarities too, so you can better compare them and decide which distro is better for you. This is a controversial comparison, so we expect as much input from you as possible. Leave a comment below, please. Stable releases have support for 3 years max. LTS releases have support for 5 years max. Before going into the server/desktop-specific differences, we’ll go through the general differences that apply to each distro release type. Ubuntu is based on Debian, so most software is usable on both distros. You can configure both distros to have pretty much the same features and software. Ubuntu LTS (Long Term Support) is based on the Testing branch of Debian, not on the Stable branch. Though you can use the same software on both distros, note that the installation and configuration process is not the same. Generally, Ubuntu is considered a better choice for beginners, and Debian a better choice for experts. Ubuntu requires little to no user configuration during the installation processes. Everything a beginner would need is pre-installed on Ubuntu and the OS installation itself is pretty easy to do with an intuitive installation GUI. Unlike Ubuntu, Debian requires more input from the user – configuring the OS itself and software installed on it. Debian focuses on free (as in freedom) software only, Ubuntu uses proprietary software too. If you don’t really care about free software, then Ubuntu is a better choice for you. Granted, you can still install non-free software on Debian, but it will not be as easy to do as it is on Ubuntu. Given their release cycles, Debian is considered as a more stable distro compared to Ubuntu. This is because Debian (Stable) has fewer updates, it’s thoroughly tested, and it is actually stable. But, Debian being very stable comes at a cost. You won’t be able to use all the latest releases of software and all the newest bleeding-edge technologies. At least not out of the box. As everything else, you can still configure Debian to include some packages that are not available by default. Ubuntu releases run on a strict schedule. 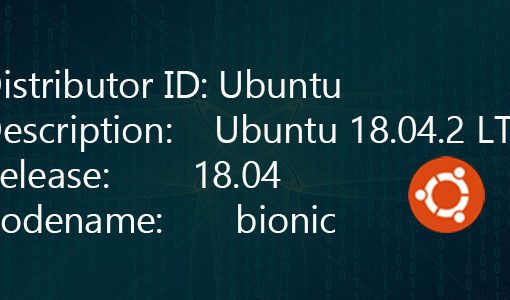 So, you know exactly when a new Ubuntu release will be available. Unlike Debian, where there is no specific schedule. Ubuntu’s support lasts for 5 years for servers and 5 years for desktop. Enterprises get longer support. There are new Ubuntu LTS releases every 2 years. Debian’s “Stable” releases offer support for a year after the next stable release. So if a Debian stable release comes out every 2 years, and you started using a stable release at its launch, you will get 3 years of actual support/updates. If you want support for a longer period of time, you should go with Ubuntu LTS, instead of Debian Stable. Alternatively, you can use Debian LTS which will extend the support to 5 years. So that was our general comparison, now, let’s get into specifics. When it comes to servers, choosing the right distro varies on your requirements. In short, if you’re in an enterprise environment, you should go with Debian as it’s more stable and more secure. If you need the latest releases of all software and if you use the server for personal use, go with Ubuntu. All general differences also apply to the server versions. You can try a Debian and Ubuntu server for free at Vultr. Debian is a lightweight Linux distro. The biggest deciding factor on whether or not a distro is lightweight is what desktop environment is used. By default, Debian is more lightweight compared to Ubuntu. So if you have old hardware, you should go with Debian. The desktop version of Ubuntu is much easier to install and use, especially for beginners. On Ubuntu, by default, all choices are made for you and everything works out of the box. However, there’s an “expert mode” on Ubuntu, which lets you edit and configure pretty much everything, which is actually similar to the installation of Debian. By default, Ubuntu (17.10 and onwards) comes with the GNOME desktop environment. Older versions use Unity. Debian has a wide variety of choices, so you can select whatever desktop environment you want to use. Except Unity. We went through all the differences and similarities as objectively as we could. This is a controversial topic, so we expect your comments. If you have anything to add, leave a comment below! The last row in your comparison table says CentOS instead of Debian. In terms of stability, and for the record, Ubuntu is nearly exactly like Debian’s popular Testing/”buster”. AAMOF Ubuntu’s Lubuntu version can be just as lightweight as default Debian. “Ubuntu, Mint or other derivative repositories are not compatible with Debian! Most of Ubuntu’s packages stand a large chance of being incompatible with the Debian not only because of differences in the name, but, also file locations, this, in itself is a road to disaster. I think the author should use a search engine, irc, official sites, and research why you shouldn’t use ubuntu .debs or PPA’s in debian. It is not recommended, but it is doable. Thank you for your input anyway. Maybe we should put up a disclaimer or a warning or something. I have found that for applications where dead stable is wanted that Debian is hard to beat. I don’t find it necessarily more difficult to use than Ubuntu. Once you get it setup and going it just works. It also works with minimal fuss and updates. The latest everything with lots of things setup for you? Maybe not. But Stable? Yes! DId I mention that it just works? We use Ubuntu on over 100 enterprise servers. How is it any less secure or less stable than Debian? Do you have proof of such a claim? You can’t just say a thing is more stable or more secure. You should probably provide some evidence to back up your claim. In truth any disto is as secure as you make it. As far as stability, I have over 100 stable Ubuntu servers in production to prove you wrong. The update frequency alone will make Debian Stable more stable than Ubuntu. And of course, we fully agree that both distros are stable and can be used in an enterprise environment. We actually use Ubuntu ourselves. Update frequency is not a valid measure of stability. If that were the case, a distro where the maintainers only patched (provided updates) once a year (or never) would be the most stable distro ever, based on your criteria. Update frequency IS a valid measure. If you consider stable is the uptime of a server, ok, that’s it. But my experience is not on server, but apps. If you deploy an application for government running Debian Desktop and Ubuntu Desktop more than 1000 PC, updating too frequently on a lib might make your app need a re-compile and re-deploy. Debian really does better to not break your private app. And those who works for the government usually don’t use too fancy stuff. They just use your private app. That’s all. eThere is no doubt at all that Debian IS much more stable and reliable than Ubuntu. The reason is that software in Debian stable releases is much better tested than software in Ubuntu. You should understand that Ubuntu’s releases are based on the development version of Debian which is not even meant to be used in the every day use except if you are a Debian developer. Debian stable releases are made every two years, Ubuntu’s releases are made every 6 months. Even Ubuntu LTS releases are based on the development version of Debian and Ubuntu developers really do not use any more time to test the LTS release than normal releases. LTS on Ubuntu means just that, long time support. It does not mean that LTS releases would be more stable than normal Ubuntu releases. As I said Debian releases every two years and Ubuntu releases every 6 months. That means that Debian developers have four times more time to make the release stable and releable by testing the software well. And that really does result in the fact that Debian releases are much more reliable than Ubuntu releases. On the Debian web page there is a page with a graph showing the difference in number of bugs in stable, testing and unstable. If you look at hat graph then you will see that there really is a huge difference in number of bugs between Debian stable, testing and unstable. Debian stable has much less bugs than testing and unstable. I also read a lot discussions on several pages. I frequently see people saying that some software or e.g Gnome desktop environment does crash on Ubuntu at the same time the same software works just fine without any problems on my Debian computers. E.g I have not seen not a single Gnome crash on my computer since the release of Debian Stretch in the summer 2017 but I read frequently comments where Ubuntu users complain that Gnome crashes etc. So yes Debian really is much more stable and releable than Ubuntu. I wouldn’t say that the article is inaccurate, but some of the points could use some clarification or additional information. -Debian uses free software only by default, but some proprietary software is distributed through the Debian repositories if you enable the non-free repository for the distribution version. -Debian is supported for usually about three years by Debian itself. However, the Debian LTS project takes over security support for whatever the remainder of a five year period is, so you effectively get five years of some kind of support. This is not support from the project itself, but the LTS project is associated with Debian, so it is good additional information to know. When it comes to Linux distributions used for servers, “stability” means that the behavior of any of the software won’t change unexpectedly. That is so that scripts or configurations for services, etc. will behave as you expect them to with no changes over time. Without this, a new feature could change the behavior of a program breaking a script or a configuration so that a service stops working, or stops working correctly. That is why stable distributions are better for servers. There are a few things (such as the kernel) that receive updated versions in Ubuntu LTS over its lifetime that only receive security updates in Debian Stable, so from that standpoint, Debian is a little more stable. As far as how likely the server is to experience crashes or similar problems, it’s also true that Debian Stable tends to be more tested before release than Ubuntu LTS versions. However, Ubuntu LTS versions tend to stabilize from this point of view fairly quickly after release. Debian tends to be lighter weight than Ubuntu even when using the same desktop environment. So Debian with Xfce is lighter than Xubuntu, Debian with LXDE is lighter than Lubuntu, etc., even though those Ubuntu variations are lighter than Ubuntu with Unity (and Lubuntu in particular is pretty light altogether). Neither of the operating systems are fruit, hence your assertion is incorrect. Since Debian Jessie, stable releases are LTS releases with 5 years of support. Have been using Ubuntu for a while but getting new custom PC and sounds like I’m ready for Debian. Like that its ‘more stable’ and ‘lighter’. Thanks for the Chart and explanation! I have Linux Mint Cinnamon. Would it be more advantageous to go to Ubuntu OS now that Ubuntu is going to Gnome? If you prefer Cinnamon (I know I do! ), stick with Mint. If you prefer a Gnome desktop, go with Ubuntu. If your choosing your distribution by the Desktop environment you need to learn a little bit more about Linux. Maybe he wants to run GNOME on Mint, or Cinnamon on Ubuntu, it makes no difference. Your not stuck with the default on any distro. While this is true in theory, in practice the default DE of a distro is often going to be more polished and stable than others. Installing GNOME on LM will cause bugs and instability. Even Mint devs discourage this practice iirc. Cinnamon on Ubuntu is also not going to behave as well as in Mint. So yeah, if you want the best Cinnamon experience – stick with Mint. It makes no difference what desktop environment it comes with. You can put any one you like on any distro you want to run. What it installs with by default makes no difference. Ubuntu is not based on Debian Stable, it’s based on Debian Testing. You are right. Thanks! Not sure why we haven’t updated our post, the comparison table already said Testing. “In short, if you’re in an enterprise environment, you should go with Debian as it’s more stable and more secure.” As an enterprise I probably want someone I can address directly if im in need of support. Canonical provides such support, with Debian you’re “stuck” with community only. Also with ubuntu you get a release cycle you can rely on. I mean I love Debian, but your recommendation is a bit shortsighted. At least to me. If you’re going with Linux as an enterprise (assuming cloud/web) and need access to quick and efficient support then I’d go with red hat. If you have your own technicians and don’t require official support then pick what ever floats your boat. For web servers I’d go with CentOS. That said, if money isn’t a problem then Windows is without a doubt the number 1 choice when it comes to customization, integration, support and stability. Microsoft have specialized teams of experts that will blow any linux based platforms out of the water. The only area where linux puts up a fight vs windows is OOB security. Never use Ubuntu for anything. Always go with Debian. I have used several versions of Ubuntu and it’s always the same: huge amounts of bugs, instability and crashes. Using Rasbian (Debian) now and it’s a remarkable improvement. Everything is stable, never crashes, solid as a rock. Big warning for Ubuntu, especially for beginners. Ubuntu will put you off Linux. Debian will make you love Linux. I think no one should use Ubuntu for any reason or purpose.. its full of pre-installed proprietary junk and spyware. Go Debian with ssh and no GUI for servers, and Debian with xfce for your laptop. Ubuntu is not good option for anything, let it be a lab..
I’m beginning to use Ubuntu on my desktop, I’m a beginner in Linux, but sins last update of Ubuntu 18.04, a nightmare happen, the system stock, freezes and at the end do not start at all, even when I try to reinstall, problems emerge. so even I’m a beginner, I think I’m going to change to Debian, I believe is going to be challenge but I do want to learn a lot. If Debian is the ‘more stable’ why is it not a better choice for ‘beginners’? Is this because the Debian GUI installation is a bit more chatty? I use both Debian and Ubuntu – each with the MATE desktop and I do not find Debian more difficult to use. The only thing that makes Ubuntu ‘easier’ is that the user community is much more active and supportive than the Debian community. I suspect a bit of snobbery in this rule of thumb, snobbery in the community being perhaps the only reason to dislike Linux. I think this was a great article and accurate. Ubuntu served me well when I first switched to Linux because it does most of the configuration for you and tries to simplify its use at every turn. In fact, it was not until I advanced my Linux skillset that I became aware of just how much Ubuntu does for you. As a beginner, or newbie, that was a bonus but it eventually became somewhat of a hindrance as I learned Linux. Also, Ubuntu is buggy. I have tried all the flavors and many Ubuntu-based distributions and the Ubuntu bugs seem to always crop up. Often, they are minor but always there. KDE Neon offered probably the most stable, bug-free Ubuntu experience I have had. There were a few others that worked well until updates or new releases entered into the equation. Now, I use Debian/Debian-based distributions and could not be more pleased. They are much more stable and have none of the Ubuntu bugs. Even distributions based on Unstable or Testing offer better stability and performance. As far as the desktop goes, Debian can be made to look like its Ubuntu counterparts and I have found I am not missing the PPA functionality Ubuntu offers. Configuring Debian is more involved compared to Ubuntu but the tradeoff is a more secure system with much better performance. I agree that if bleeding edge software is a concern then Ubuntu would be a better choice. Debian can be made to run much newer software but I only do that when the newer software offers a better solution. If it works, why fix it? It is as easy to use non-free software on Debian as it is Ubuntu. Debian has non-free and contrib repositories. All you have to do is to add “non-free contrib” after “main” in every line in /etc/apt/sources.list file. After that you can install non-free software on Debian just the same way you can install free software. Debian releases a new stable release every two years. So e.g. Debian 9.0 “Stretch” was released in the summer 2017, support for the Debian 9 will end in the summer 2022 or later. Debian 10.0 “Buster will be released in the mid 2019 and support for it will end in mid 2024 or later.”. And so on. Beginners do not need to configure the system or apps during the Debian installation. First of all if you want to then you can install Debian by using the defaults, just click the next -button etc. Secondly Debian installer has several modes which you can choose to use, e.g normal mode and expert mode. Expert mode is not default. You can even install Debian if you are visually impaired or blind like I am. Debian installer supports screen reader, Braille display devices and speech synthesizer out of the box. E.g I am blind but I can still install Debian. Debian installer has three easy to use intuitive user interface modes: graphical mode, mode with character based graphics and text mode. Debian installer sure does allow user to make lots of configuration decisions, but user can also skip those decisions and use defaults. So it is not difficult to install Debian. You can also e.g install everything on one partition if if you want to, you do not need to define separate partitions if you do not need to,. There is no reason why you could not use the latest software on Debian too if you really want to. Debian includes both flatpak and snap, so you can install both flatpak and snap apps on Debian. Note that usually you do not want to use the latest software versions because those are usually the most buggy versions because those have not been tested well yet. There is also backports repository for the Debian stable releases, backports repository contains some software backported from unstable and testing to stable. i’m using Debian because Debian is.independent distro linux. My personal reason i prefered using a independent distro linux which not derived from other, even that distro is new like a Solus. I plan to use Debian. My question is – what happens when new stable release is available? Is it necessary to re-install the server or only install new kernel? I don’t want to pre-install the MTA, databases, users, etc. every 2 years. On the other hand, Ubuntu can “automatically” upgrade to its new major version. But I tried this several times and the result always was… non-booting system and new full installation. Debian, Server or Desktop, gets updates only when they are totally tested and accepted by the development team, which is very good for stability and security. Updates are usually very smooth and stable. Ubuntu, on other hand, has a schedule to cope with, and updates are not alway smooth, they can break something. It’s a good idea to wait a couple of months before updating or upgrading Ubuntu. IMHO, For a Server or Workstation Debian may be a more secure and stable choice, and it can also be up to date, but more knowledge is necessary. It may take time to learn Debian but once you do, you definitely never look at Ubuntu, despite its “ease of use”. IMHO, Debian on a Server could be compared to CentOS/RHEL in terms of stability, but it will have much better hardware detection and will give you much more software. Thanks. Is there separate server and desktop version of Debian like Ubuntu. It seems the installation (image) is common. Maybe server/desktop depends on selected options / installed packages? If you need to install third party software that is distributed as a .deb package, then you should be running one of the Ubuntu based distros (which includes Linux Mint), as most third party .deb packages will be built against the Ubuntu layout. (Some third party software may be available as pure Debian based packages, or in both Debian and Ubuntu package layouts). It is really a shame that you can’t differentiate between Debain and Ubuntu packages in .deb format, as mentioned elsewhere the differences are in disk file layouts, library versions and naming conventions. The danger is that libraries may be replaced or renamed, breaking dependentcies with other programs already installed. In the past I did not have problems installing third party builds of Mozilla (netscape-firefox) on Debian, nor Adobe readers applications. If you are building a turnkey system which will include an OS, then Debian is probably the better choice to base your project on. For example, a MythTv DVR box can be built with Ubuntu using the available MythTV PPA packages built for Ubuntu, or you can build the required MythTv software from source on a Debian system. The latter approach will allow you to make any necessary source level custom configuration changes by editing header files. If Debian is more stable than Ubuntu, it is because all of the included software has been long term tested before release. Ubuntu is stable because testing and bug fixing continues after the release of the new version of the OS. While Ubuntu does follow a rigid release schedule, they have delayed releases due to critical bugs, or pulled problematic software from releases at the last minute. Would it be inappropriate to ask – which version has professional as opposed to volunteer support? By professional I mean people who have financial interest in the product, as opposed to volunteers who are in general just “computer geeks” without financial stake in the product. How about comparison of “how often one has to run update / upgrade” ? This is the beginning of our LAMP tutorial series: how to install the Apache web server on Ubuntu.